In the Commons today, one Conservative MP bemoaned the absence of bells. Bells, Brian? The division bell? The phone bell? The bell to signal closing time in Strangers' Bar? No, the talk was of church bells. 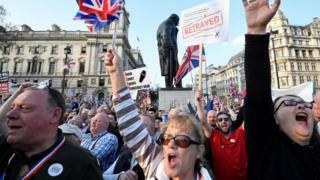 The lament was that the steeple bells would not be ringing tonight to mark Britain's departure from the European Union. I must confess that my attention wandered just a little. I couldn't help thinking, entirely randomly, about another reference to bells, this time of the kirk variety. Legend has it that the bells of St Giles in Edinburgh marked the Parliamentary Union between Scotland and England by sounding the tune "Why should I be so sad on this, my wedding day?" Irrelevant, I know. Perhaps symptomatic of the vague impressions which crowd into a brain addled by a surplus of Brexit. However, it is certainly the case that not all of our MPs, still less our citizens, would have been reaching eagerly for the bell ropes, had this been Brexit day, as scheduled. Particularly in Scotland. Theresa May tried everything she knew today. She caused MPs to abandon their customary constituency duties to remain in Parliament on a Friday. She cajoled, she wheedled. She even talked at one point in her summation speech of "good Labour members opposite". She reckoned they were ready to deliver on Brexit; that is, to vote for her deal. She warned of the apocalypse which would descend if her deal were rejected a further time. That shifted some Tory backbenchers into reluctant supporters, as they contemplated the prospect that Remainers will now be emboldened and that Brexit might be thwarted. 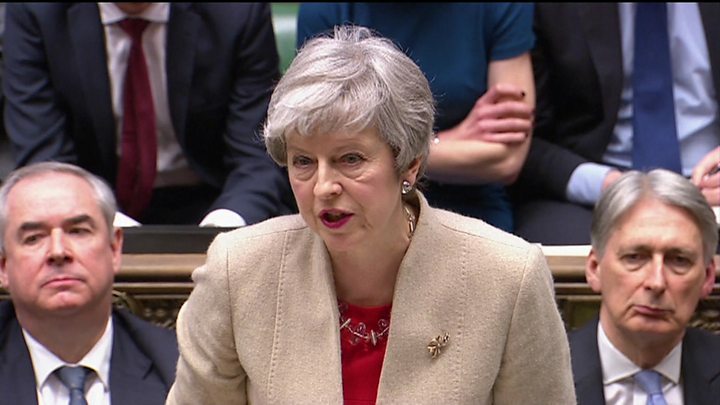 She narrowed the focus of the debate, featuring only the Withdrawal Agreement, partly in response to the pronouncement of the Speaker that he was disinclined to tolerate multiple votes on exactly the same proposition. She offered Parliament a role in the formulation of future planning, regretting that the Speaker had declined to call an amendment which would have specified that status. She had already, of course, offered to stand down prior to the second phase of Brexit negotiations. But it was not enough. Not even close. Another substantial defeat, albeit by a smaller majority than on the two previous occasions. It was left to a chastened Prime Minister to concede that the House as a whole will now have to seek an alternative. That exercise will resume on Monday. 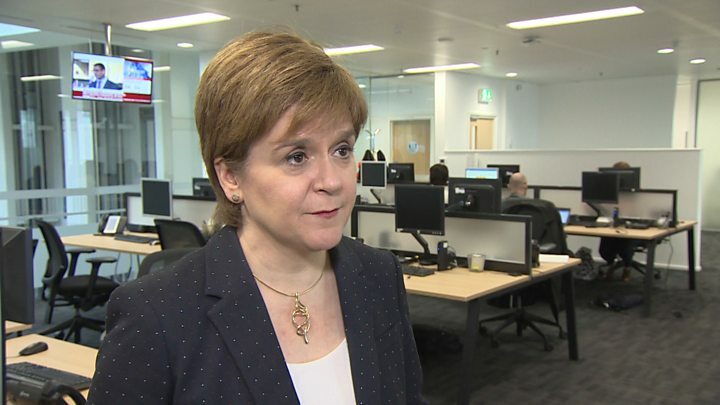 The prospect now, she said, was that Britain would leave the EU on the 12th of April without a deal - or there would have to be a substantial delay to allow those alternatives to be formulated and enacted. That would mean, she said lugubriously, that Britain would have to participate in the looming elections to the European Parliament. I appreciate her perspective but seldom has a democratic politician sounded so gloomy about an exercise in democracy. Naturally, there are umpteen suggestions coming forward. From Labour, the principal focus is a demand for a general election. From the SNP, a demand for an election - plus a further EU referendum or dumping Brexit altogether. From various motions before the House, talk of a customs union and links to the single market - in themselves, key elements of ideas put forward at various points by both Labour and the SNP. Perhaps, though, on this non-Brexit day, we might consider the more fundamental issues which have brought us to this impasse. I think it is possible to identify three miscalculations on the part of the UK Government. Firstly, it is possible to argue that the likely stance of the EU in negotiations was not properly absorbed. The EU were never going to reward the departing UK with a golden deal, for fear of stirring insurrection elsewhere in the Union. There was constant talk that the EU would back down at the last moment, as is customarily the case. That was a misreading. The EU has capitulated in the past - when a dissenting member state was remaining in the Union and capable of wielding influence or causing trouble if their demands were not met. The UK is on the way out. Its clout, consequently, is reduced. Plus I do not think that the EU's perspective on the island of Ireland was fully grasped by all in London. The EU sees itself as a bringer of peace. You can laugh, you can scoff, if you will, but that is the self-image. The EU institutions genuinely wanted nothing that would disturb the peace in Ireland. Also, they wanted to give substantial credence to the points advanced by their member state, Ireland. A member state that shows no sign whatsoever of leaving. On occasion, it was only too easy to discern the exasperation in some Tory circles - and perhaps elsewhere - that Brexit, this latest constitutional innovation, was in part being thwarted by a legacy of Irish partition. But it was and it is. For many in mainland Britain, Northern Ireland is a matter of concern. But it remains theoretical, remote. For the DUP and for the Republic, the issue is physical and immanent. The second fundamental problem was Theresa May's implementation of the deal. Instead of reaching out to the whole House of Commons from the outset, she declared "Brexit is Brexit" and narrowed her focus to retaining the support of the DUP and the Right-wing Brexit enthusiasts on her own back benches. Now, we should not over-state this. It is not necessarily the case that a pan-Parliamentary agenda would have completely transformed the situation. The PM's opponents would have continued to do just that, oppose. Labour would have continued to press for a General Election. The SNP would have continued to pursue independence and the Liberal Democrats would have continued to agitate for a rerun referendum. But it is feasible that an umbrella approach, if practised from the outset instead of attempted towards the close, would have given cover to those Labour MPs who represent Brexit-voting constituencies and might have been swayed. Plus a more universal approach might have kept onside more of the Remainers in Tory ranks, instead of repelling them. Plus, of course, the narrow focus hasn't worked. The PM might have recalled that, when Britain joined the Common Market in 1973 and stayed in after the referendum of 1975, there was on both occasions a degree of cross-party co-operation, pursued by the leaders of the day. She might have said at the start: "This Parliament voted to hold a referendum. This Parliament voted to trigger Article 50. It is now incumbent upon this Parliament - this whole Parliament - to work to deliver the verdict of the people. I appeal to all parties to work with me in this endeavour." Then there is the third fundamental miscalculation, made by Theresa May's predecessor. David Cameron misread the mood of the British people when he called the referendum in the first place. He did so to quell disquiet in Conservative ranks, assailed as they were by UKIP. He did so, consequently, for partisan reasons. He fully expected to win the referendum. He missed the mood in England, outside London. A mood of disquiet after the economic slump of 2008. A mood of powerlessness. A growing concern about immigration. A sense that no-one was listening. A feeling that England's interests were being ignored.